How seriously do you take your driving? 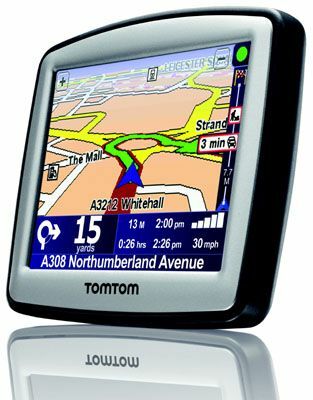 If the thought of rolling down your window and asking for directions brings you out in a cold sweat, consider joining TomTom's new Map Update Service. For a quarterly fee starting from £7.95, you'll get the latest road maps available to download to your TomTom sat nav as soon as they become available. The maps are downloaded via the TomTome Home desktop software as soon as any changes are approved by cartographers Tele Atlas. "The world's road infrastructure changes up to 15 per cent each year," says TomTom MD Corinne Vigreux, although frankly that sounds like nonsense, given the sluggish nature of road repair and development here in the UK. Still, if you can't bear your GPS unit being ignorant of a new slip-road to a housing estate in Fife or an exciting new one-way system in Norfolk, I suppose it's worth a look. However, bear in mind that the Map Update Service for sat navs with full European mapping may cost more than £7.95 a quarter.